We have come a long way with our princesses- they are no longer solely pining over their prince charmings and waiting for someone else to make their lives better. They also are the heroines of the movies and are making strides to be more independent than the classic princesses. But, in looking back at how far we have come, I began to wonder, what does a princess look like going forward? What does the millennial princess look like? I understand that this question addresses a generation that is no longer young and seeking idols to look up to. But, as we all know, it’s the parents that take their children to the movies, thus appealing to the parents is essential. So we first must define what a millennial is in this piece. While we know there is a date range of people born within a certain time frame, I think it’s also important to figure out what makes this generation unique. The people we are discussing here have been inundated with technology as it rapidly advanced from the time when they were young until the time they were ready to enter the workforce. As a result, the simple things of taking a photograph to remember an occasion, which was once a simple point and click and wait until the film develops to hope it turned out ok, has now turned into taking the picture from the right angle, applying the right filter, adding the best caption, and, of course, choosing the perfect hashtag, all so the simple memory can be put up for the world to see. So where in this world of fast moving technology and having the world look at your personal life would someone like Cinderella fit in, who mainly waited for someone else to show up to help make her dreams come true? 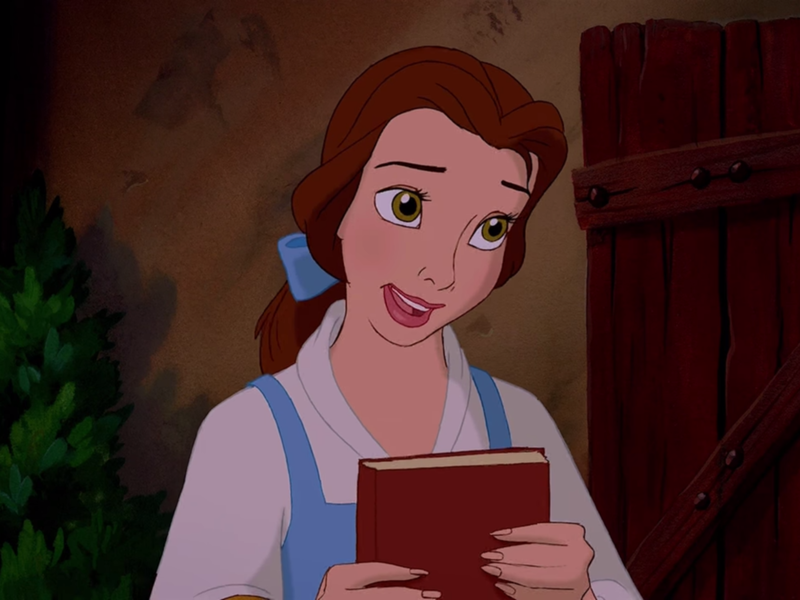 Does Belle, even with her own sort of progressive feminism, find her place in this new atmosphere? How does a company built on the backs of these fairytale girls bring a new face to this somewhat cynical generation? Can this generation even fall in love with a naïve young lady anymore? The classic princesses especially, though the more recent films are not innocent of this, are technically not even out of high school by today’s standards, yet they are either ready to settle down, start their own restaurant, or are too busy saving their world. The next question I’ve thought about is: What does a millennial even fantasize about that would be relatable in a typical “princess” movie? The themes that once permeated the “classic” princesses seem trivial to an audience today. No longer are girls simply dreaming of meeting Mr. Right, getting married, and starting a family. Nowadays, many people are just wishing to have enough money to get a place of their own, while others are hoping to land that perfect job that offers both security and fills their passion meter. The focus of relationships and families has fallen behind the importance of careers and independence. We have seen these themes in Princess and the Frog with Tiana who longed for a restaurant of her own, but she was held back due to a lack of means and societal restrictions. In Tangled, Rapunzel also yearned for independence, though this was stepped on by Mother Gothel, along with a “healthy” dose of guilt sprinkled in whenever the idea of leaving her mother was brought up. 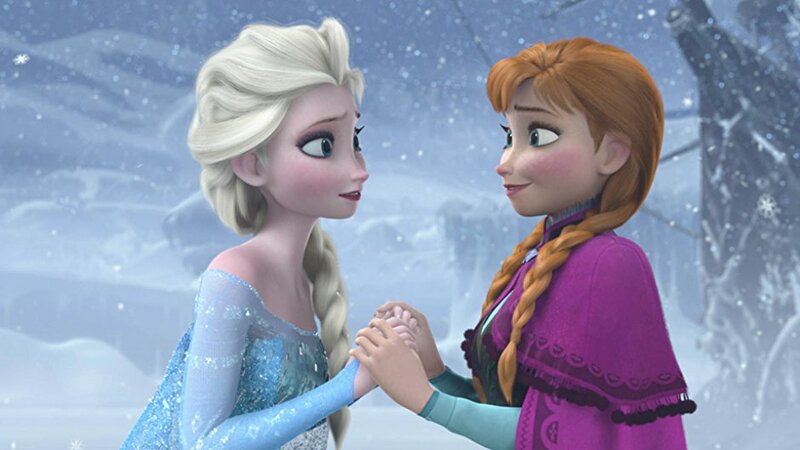 We also saw the major break of stereotypes in Frozen with Elsa not needing a love interest at all, true love being between sisters and not a girl and boy, and even Anna’s love interest being turned on its head by both Hans and Kristoff, though the irony that the only “princess” in this film still does have a love interest is not lost on me. So, it seems the princesses are moving in a good direction here and seem to not only hold true to the old-fashioned dreaming, but also show some independence in the female leads. It does seem that the one thing that has stuck with the princesses has been the love interest. Is this, though, where things tend to get a bit mired in the classic ideology? I don’t think we need a princess who is caught up in a romance. Even so, how would you present this type of princess to an audience who has grown up fighting for equal pay, equal opportunity, and equal advancement for women? Does the idea of a love interest make the character seem weaker and, therefore, not as strong as these millennial women have grown up to become? One can look at the more recent Moana- though not technically a “princess” but the chief’s daughter (a la Pocahontas)- for a female lead with no love interest. However, the story of Moana has a few hiccups too. Towards the middle/end of the film, Moana and Maui both have a crisis of whether or not they can actually be the “hero” they need to be- Maui needs to be convinced twice by Moana to take the trip with her and that he can get his powers up to snuff; Moana is at first taught to be a wayfinder and then needs to be convinced not to give up on her quest by her grandmother. Due to the repetitiveness of each of these characters’ crises, though, it takes away from the moment when Moana realizes she can do it on her own anyway. The struggle that Moana goes through is overshadowed by Maui’s struggle and she needs to then show him that he can be the demi-god he once was. It’s a mess, and to top it all off, Moana still needs Maui’s help when fighting Te Ka. So really, while Moana doesn’t have a love interest, she still has a male counterpart that sort of steals her spotlight. Moana has some strong qualities- I mean she does save her people and helps them return to their wayfinding roots- but it still feels like there’s something missing. Why should the heroine need to have someone else share her spotlight? The male characters, such as Hercules, Aladdin, and Tarzan, all clearly dominate their films with the females being very distinctly segregated to their “supporting” roles. Meg still needs to be saved by Hercules before the film ends; Jasmine is the love interest and, while she challenges the idea of being “sold” into marriage, she still will get stuck being in the role of wife and mother; and even Jane, despite being the most modern of the women, decides to leave it all for a guy- albeit her father is also there so she can continue “research” with him. Yet, looking at these roles, the idea is that the woman is the supporting role and the male role can shine despite the female role is still pretty consistent. Is this because many of the stories are written by men? Even Moana has 8 writing credits, ONE of which is a woman...just let that sink in. This is just the start of the conversation. I pose these questions to you so that we can start to think a bit more critically about what we present to the next generation. I believe that the idea of the “princess” has changed and needs to continue to change. Don’t take away the beautiful dresses or accessories (goodness knows those are definitely the stuff of dreams), but, please, give us stronger characters who have their own stories to tell and that don’t need another person to make their tale complete. Let’s give women a stronger voice in the development of these characters since their perspective is unique. Offer a wider variety of role model than what was offered to us so that our children can see that all types can achieve greatness. That, I think, is a good place to begin.